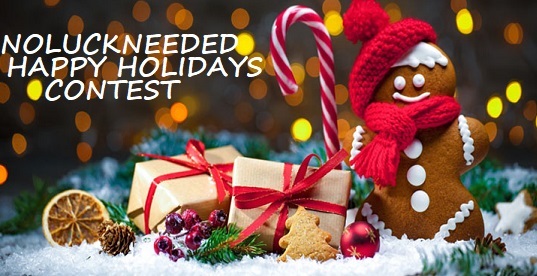 If you like free cash, then don't miss the FREE Happy Holidays Cash Giveaway Contest! Post any message to participate. This contest is free for all NoLuckNeeded members. If you are not a member, join for free today. 3 X $50 Cash Prizes to Win! Post something about the holidays or any message to participate. THANKS FOR ANOTHER CONTEST, NLN ROCKS!! Good Monday morning everyone and gl . herlis, It gets cold there? I always thought of Manila as warmer than Miami. But maybe it's 21c (~70f) and you think it is cold. Good Tuesday to everyone .